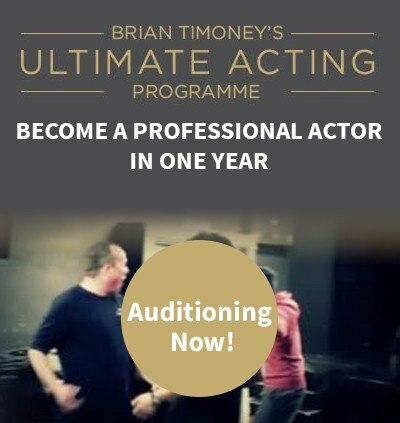 Are You a Natural Born Actor? Posted on August 5, 2013 at 4:19 pm. “He’s a natural born actor” is a statement you’ll often hear in the acting profession and it’s a big fat lie. It reinforces the misconception that acting is something that can be done well with no training. I cannot count half a dozen professional actors that have never had any sort of skill development. It doesn’t matter if they got into the profession at an early age or if they were picked off the street for a role, you need to learn in order to be successful. You wouldn’t want a surgeon operating on you that didn’t feel they needed a lot of schooling would you? Equally, an audience won’t pay to see actors that don’t think they need acting courses in order to improve. And make no mistake, the audience will notice; as will those holding auditions. It’s not about your CV, they’ll be able to tell almost instantly that you haven’t honed your craft. Good drama schools have developed proven methods to bring out the best in their students. They are in the business of turning those students into professionals because they know that if they cannot deliver these results, they won’t survive. The intelligent actor will recognise this and take full advantage of all available resources in order to make them the best they can be and, ultimately, allow them to make a good living doing what they love. You cannot learn to drive a car without learning the rules, the skills, and practicing. Acting is the same; you need to learn, practice and perfect. You only get out of something what you put into it. Make certain you put everything you have into making yourself a student of acting. Research acting schools, sign up and participate in acting classes and learn important skills (like method acting). Another important point is that, unlike driving etc., acting isn’t something you ‘learn’ and then move on from. It’s a skill that needs to be constantly developed. Expanded. It doesn’t matter if you’ve been acting for 30 years, you still need to keep your skills fresh. Want to hear the words ‘you’re a natural’ at your next audition? Maybe the key is in finding the right acting training. We run a range of method acting courses designed to give you the practical skills you need to succeed as an actor. Want to know more? Why not give us a call?